I Married a Monster from Outer Space is a 1958 American black-and-white science fiction film from Paramount Pictures, produced and directed by Gene Fowler Jr. and starring Tom Tryon and Gloria Talbott. 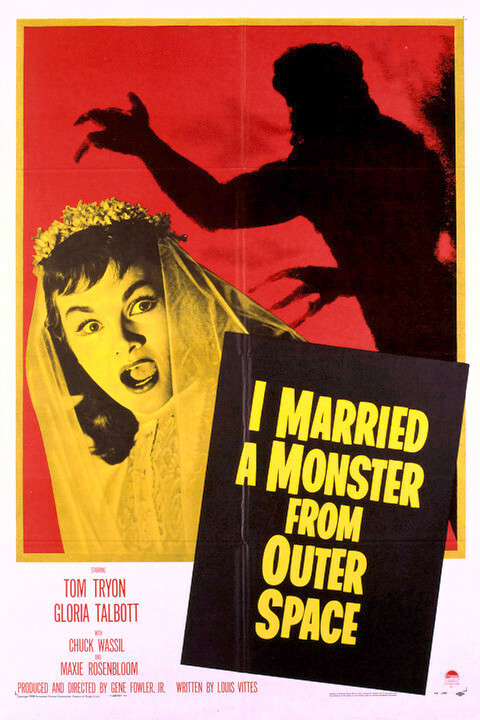 The story of I Married a Monster from Outer Space revolves around a young wife realizing her new husband has become strangely transformed shortly after their honeymoon. He has seemingly lost all affection for her and for his pet dogs, even his earlier habits have now completely vanished. Thereafter, she quickly discovers that he is not the only man in town that has changed into a completely different person. Due to its exploitative title, I Married a Monster from Outer Space has long been ignored by critics and film historians, although it received respectable reviews both in contemporary and in later reviews.